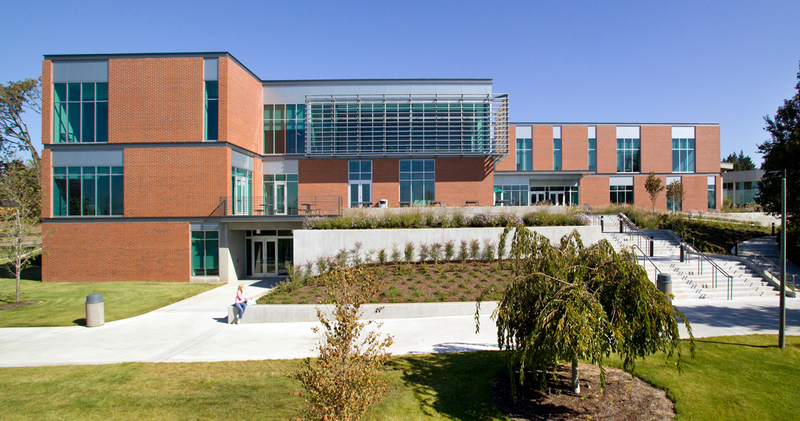 The Penguin Student Union project transformed an existing 1970’s facility into a vibrant campus center for student programs, government and organizations. 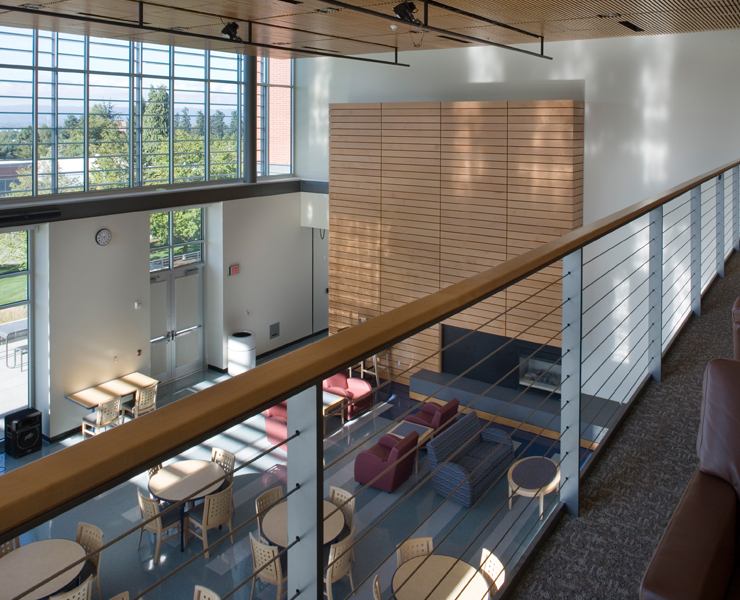 A focal point of the addition is a two level performance space that also functions as a student lounge – large sliding glass walls acoustically separate the space when used for performances. 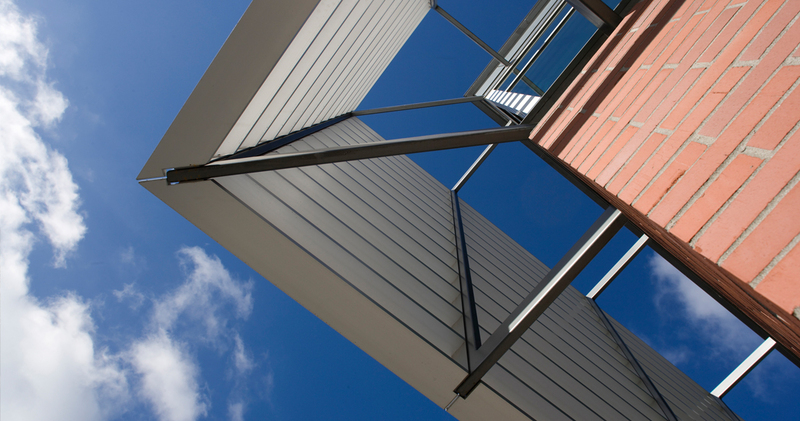 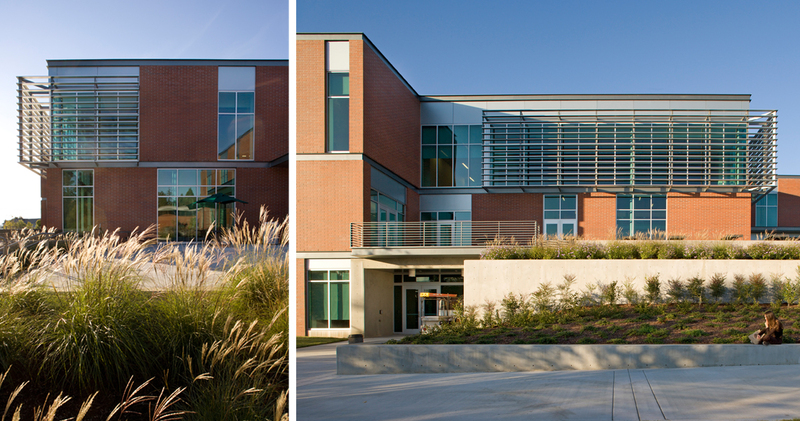 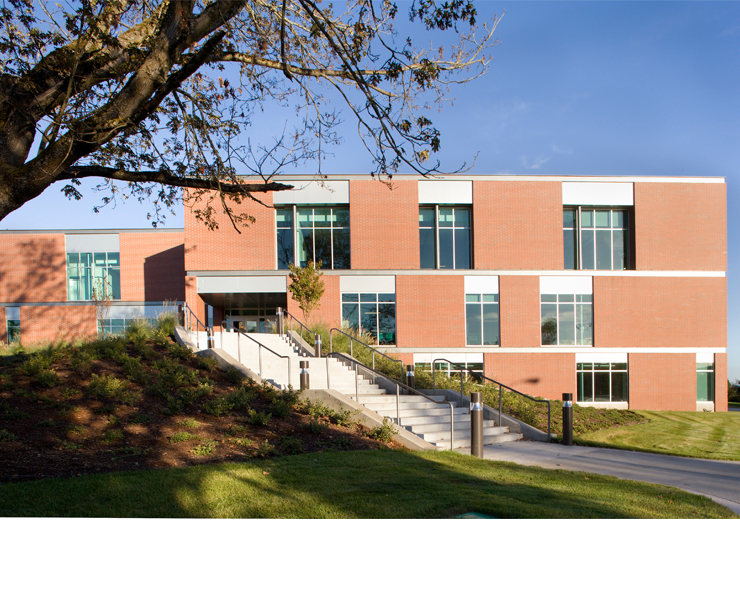 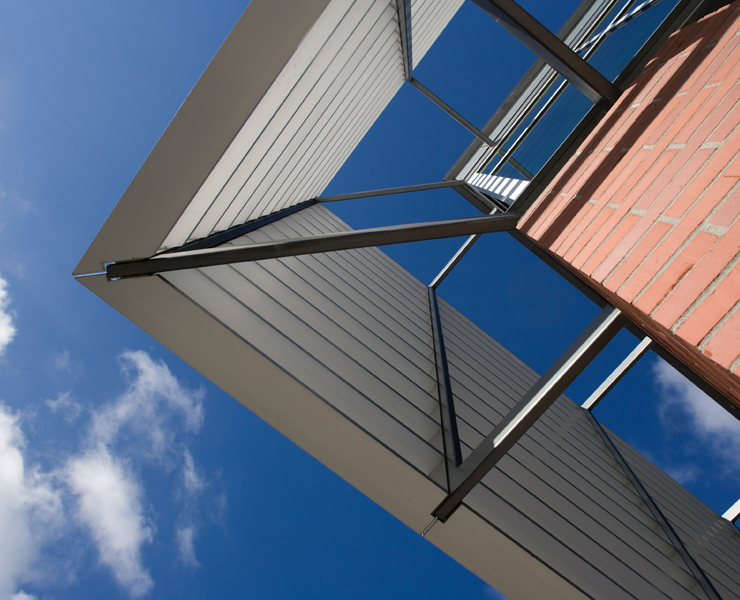 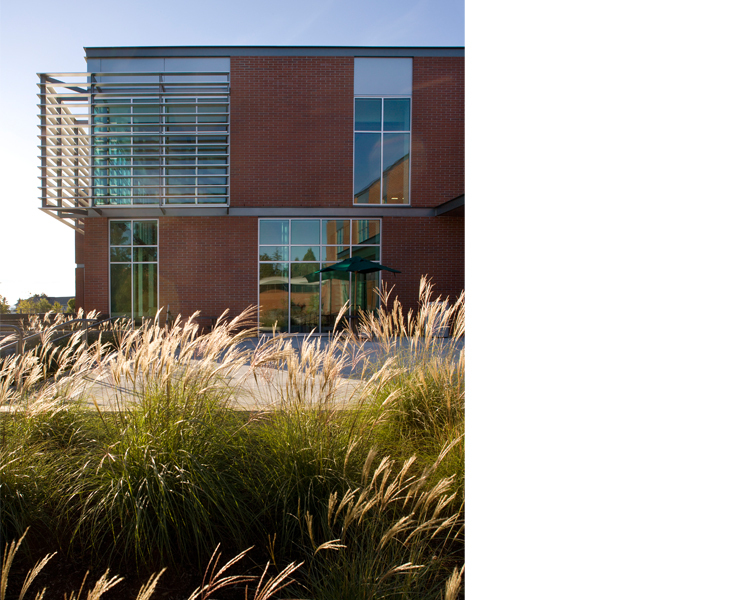 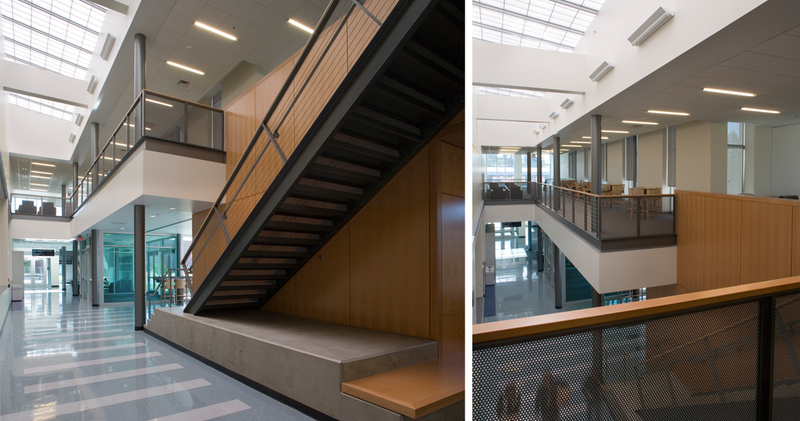 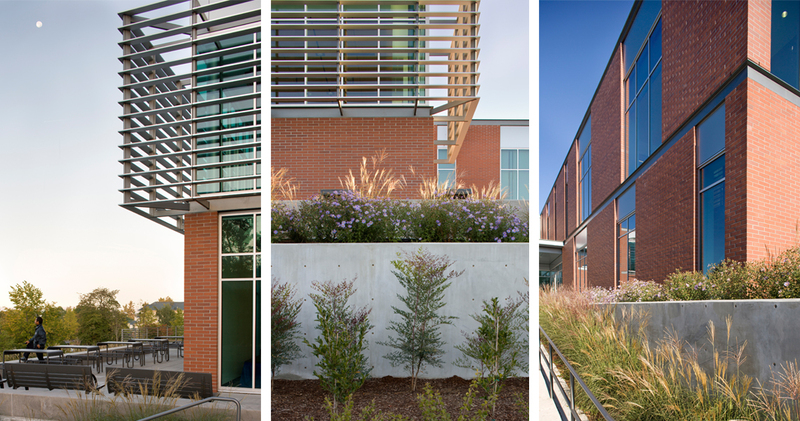 The existing internally focused building was surrounded by a two story addition that opened the facility to the campus through extensive glazing, courtyards and terraces facing the main quad. 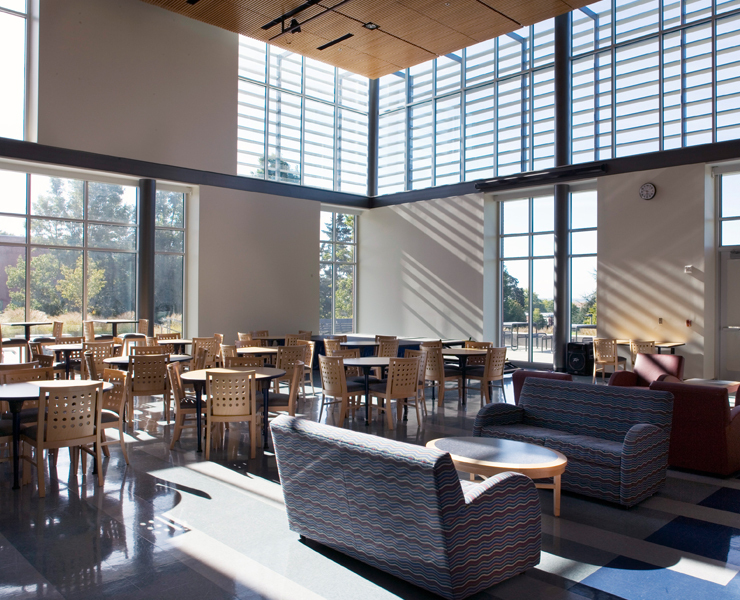 The program includes the campus bookstore, food service, classrooms and conferencing. 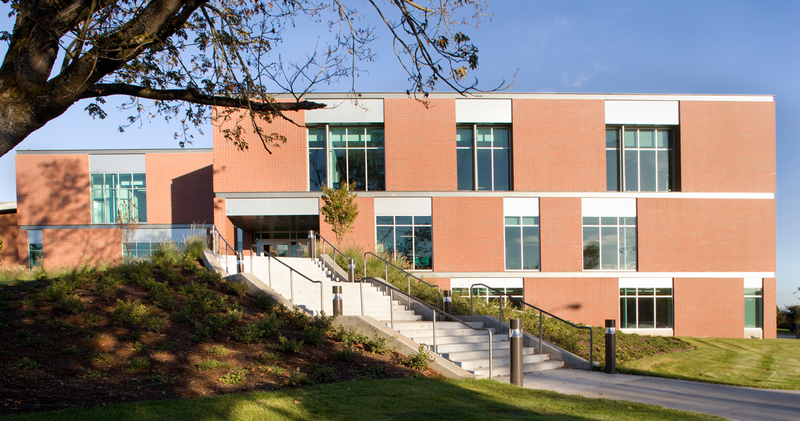 A student government and organizations suite is located on the first floor by the main entry for maximum visibility. 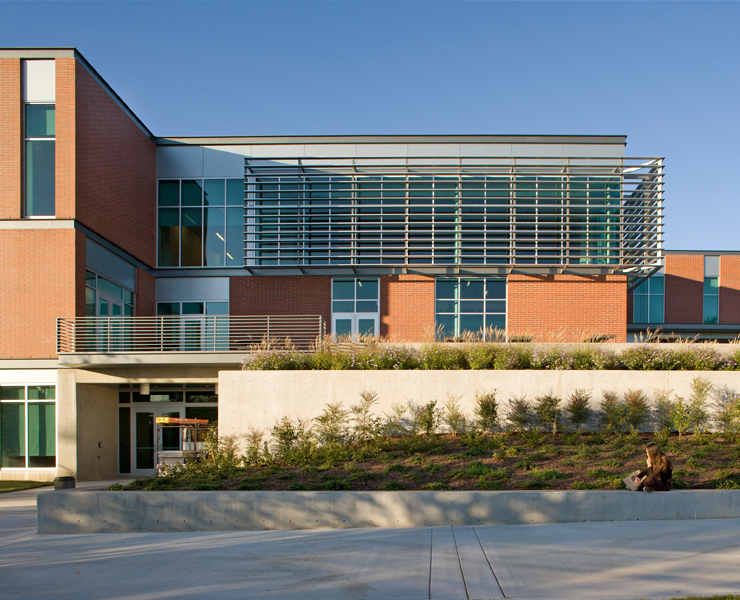 The Archer Gallery provides a high quality art gallery space on campus. 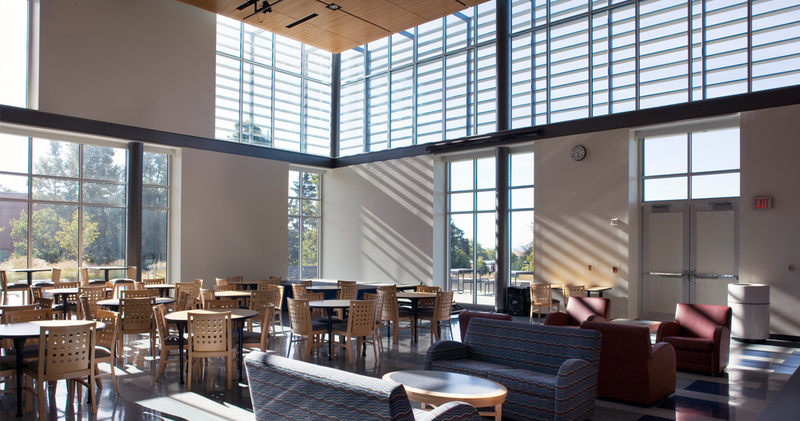 The original Clark College student union was a maze of connected additions and renovations that was not heavily used by students. 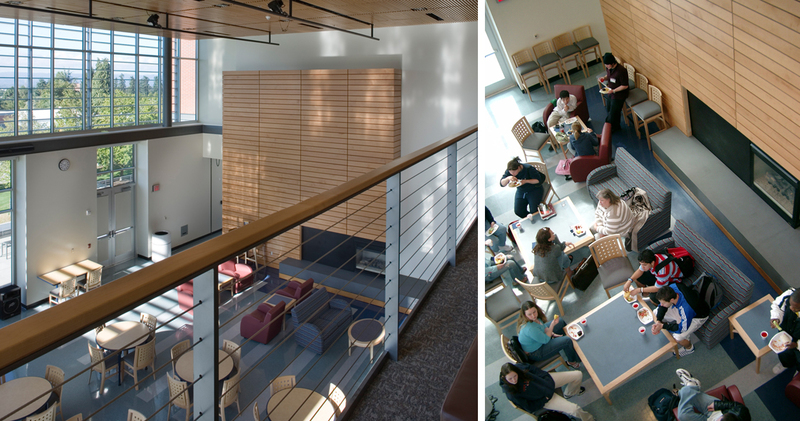 Through a series of interactive campus forums, a plan was developed for a series of strategic insertions, demolitions and additions that transformed the Penguin Union into a vital campus center. 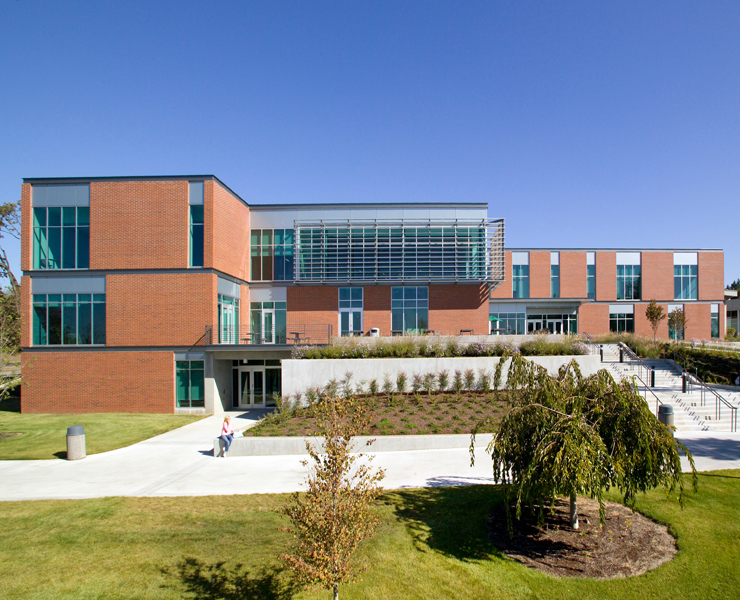 Campus pedestrian paths were mapped and thus directed the plan – encouraging students to pass through the building as they crossed campus. 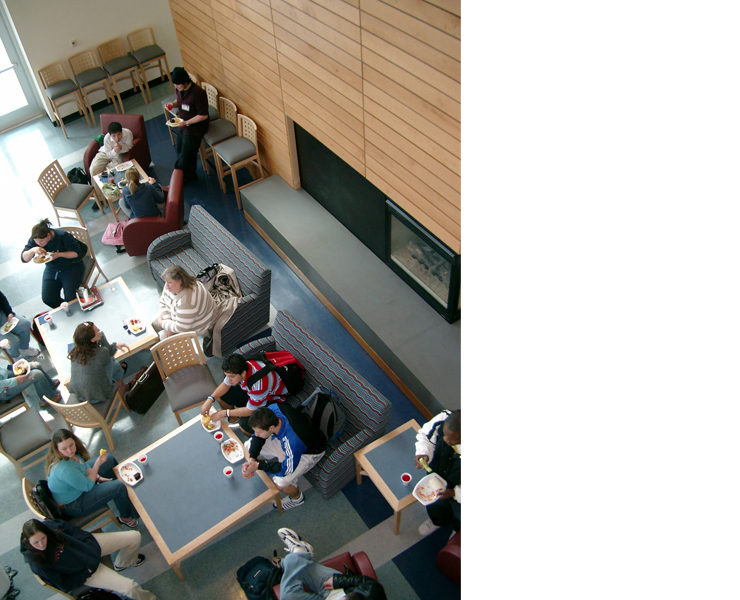 Once inside, the central Fireside Lounge creates a campus hearth and central place to meet and hang-out. 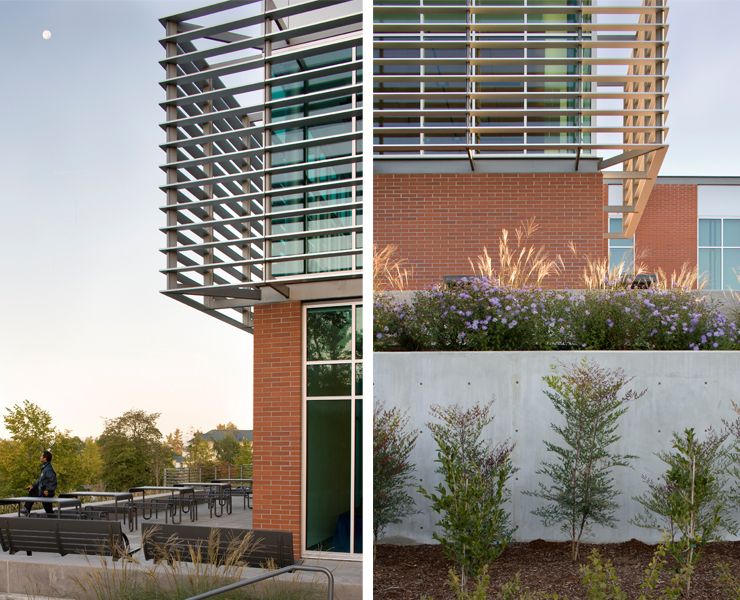 The contemporary brick and glass exterior reinforces the campus architectural character while a stepped massing of volumes define outdoor spaces. 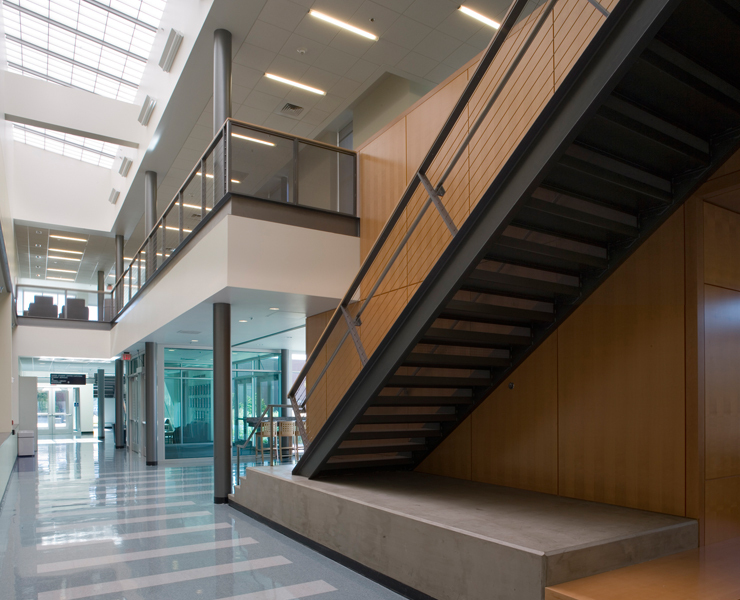 A multi-phased approach to construction allowed for continued operations while renovations touched spaces throughout the multi-building connected facility.